Also serving communities of Martin. There are 9 Assisted Living Facilities in the Plainwell area, with 3 in Plainwell and 6 nearby. To help you with your search, browse the 18 reviews below for assisted living facilities in Plainwell. On average, consumers rate assisted living in Plainwell 4.5 out of 5 stars. Better rated regions include Hudsonville with an average rating of 4.8 out of 5 stars. Caring.com has helped thousands of families find high-quality senior care. To speak with one of our Family Advisors about assisted living options and costs in Plainwell, call (855) 863-8283. Plainwell is a small Michigan town of 3,822 people located in Allegan county about 10 miles south of Kalamazoo. The Plainwell community is home to 3 assisted living facilities (ALF) with 16 more being located in the surrounding area. The state of Michigan does not recognize the commonly used term assisted living facility using instead Adult Foster Care Facility (AFCF) in all official publications. All such facilities in Plainwell are regulated by the Michigan Department of Licensing and Regulatory Affairs (LARA). LARA places communities into one of six categories depending on the number of residents served and whether there is staff living on site. Regulations vary from one category to the next but generally are stricter as the number of people served increases. With a cost of living 13.9 percent lower than the national average, Plainwell is attractive for seniors on a budget. Of particular interest is the savings to be had on groceries. Plainwell receives an average of 6 feet of snow each year. Combine this with winter temps that can hover in the mid-teens for weeks at a time and it may not be the most suitable location for active seniors who enjoy being outdoors. With violent and property crime rates of 10.7 and 33.4, on a scale of 1 to 100, Plainwell is a quiet community. This is good news for seniors with safety concerns. According to EPA assessments, the air quality in Plainwell is 21 points below the national average. For seniors prone to respiratory problems this could make it an unsuitable place to live. The Plainwell area is home to world-class medical facilities, including Ascension Borgess-Pipp Hospital, in the event of medical emergencies or illness. Plainwell has an array of community resources for seniors, including the award winning Matter of Balance program, an organization that promotes physical activity for seniors fit and frail alike, as well as 1 senior center. Assisted Living costs in Plainwell start around $0 per month on average, while the nationwide average cost of assisted living is $4,000 per month, according to the latest figures from Genworth’s Cost of Care Survey. It’s important to note that assisted living rates in Plainwell and the surrounding suburbs can vary widely based on factors such as location, the level of care needed, apartment size and the types of amenities offered at each community. 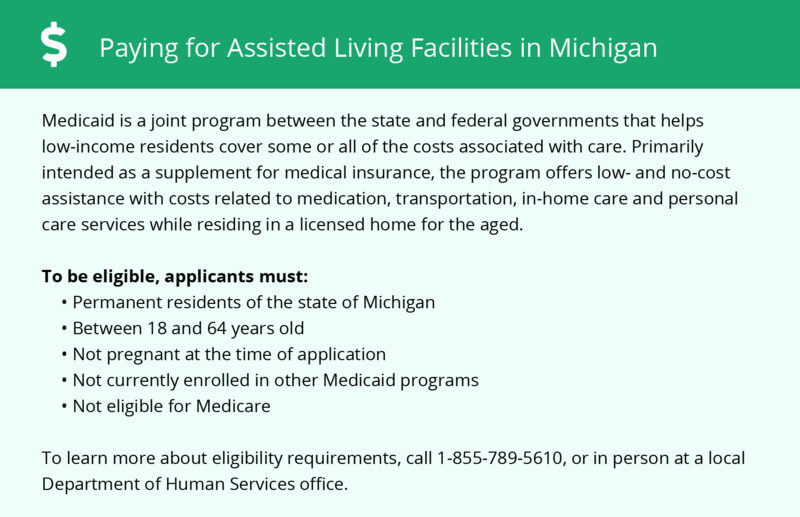 The State of Michigan has several options to help pay for assisted living facilities in the Plainwell area. Some of these are the Expanded Community Living Supports Program (ECLS), MI Choice program and MI Health Link. 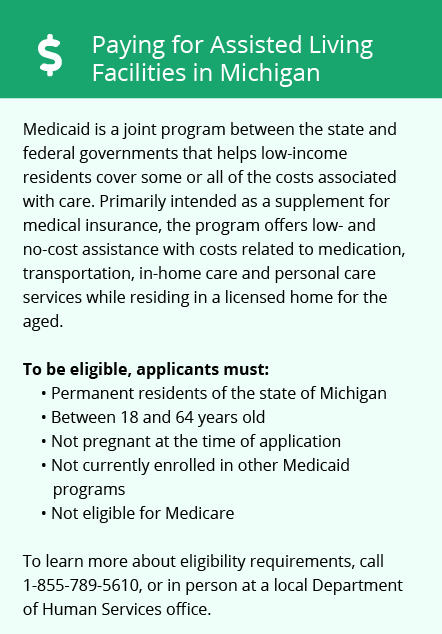 These are all Medicaid and/or Medicare waiver programs and subject to financial qualifications and the availability of open slots. Learn more about these programs, plus who’s eligible, on our Assisted Living in Michigan page. For more information about different ways to finance assisted living, visit our Assisted Living in Michigan page. Plainwell and the surrounding area are home to numerous government agencies and non-profit organizations offering help for seniors searching for or currently residing in an assisted living community. These organizations can also provide assistance in a number of other eldercare services such as geriatric care management, elder law advice, estate planning, finding home care and health and wellness programs. To see a list of free assisted living resources in Plainwell, please visit our Assisted Living in Michigan page. Plainwell-area assisted living communities must adhere to the comprehensive set of state laws and regulations that all assisted living communities in Michigan are required to follow. Visit our Assisted Living in Michigan page for more information about these laws.